Your vehicle’s brakes are essential to safety on the road. Most likely, you use your car every day or weekly to commute back and forth from work, to run various errands, go to the gym and to take your kids to after school activities. Over time, brakes in Prescott, AZ will wear out, which can be dangerous and costly. It is not a good idea to neglect your braking system. Doing so could lead to costly repairs. Moreover, you could be driving along and suddenly realize that your car is not braking properly or not at all. Luckily, there are various signs that indicate that your car’s brakes may need to be repaired or replaced. One of the first signs is high-pitched squeaking or squealing sounds when bringing the car to a stop. Typically, when these types of sounds are heard the pads have become worn and will most likely need replacing. Rotors can also signal a problem with the braking system. Common signs of problems with the rotors include vibration or wiggling felt in the steering wheel when the vehicle comes to a stop. Generally, when this occurs, the rotors have become warped and need to be replaced. Another common sign of trouble is a strong burning odor. It is important to note that burning smells are not normal. If strong burning odors are observed, it is probably a sure sign that there is a problem with the braking system. One of the most obvious signs to look for is the brake warning light coming on. More than likely, when this light flashes, glows or turns on, there is a problem that should be attended to as soon as possible. Maintaining your car’s braking system is the best way to ensure safety and will help keep your car in good running condition. 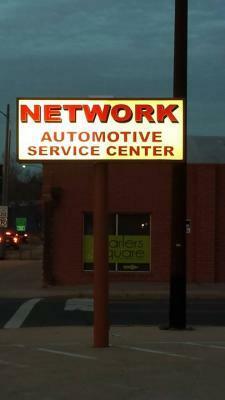 If you notice any of these signs of trouble, it is highly advised that you visit a reputable and well-established automotive repair shop like ours to have your brakes in Prescott, AZ inspected.